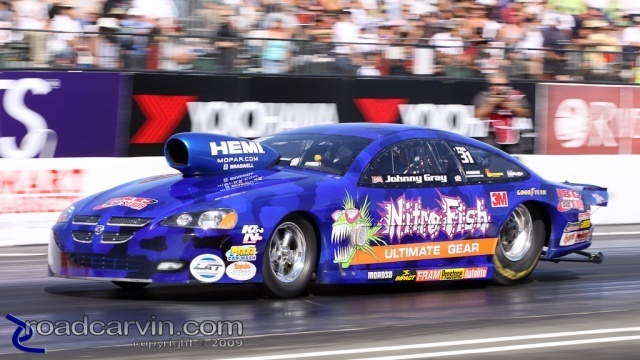 Ashley Force Hood shooting nitro flames into the night. JR Todd and Spencer Massey wheelie of the line. 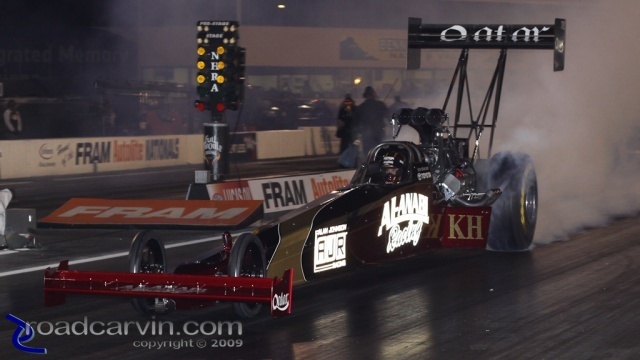 Larry Dixon driving the Al-Anabi Racing top fuel dragster. 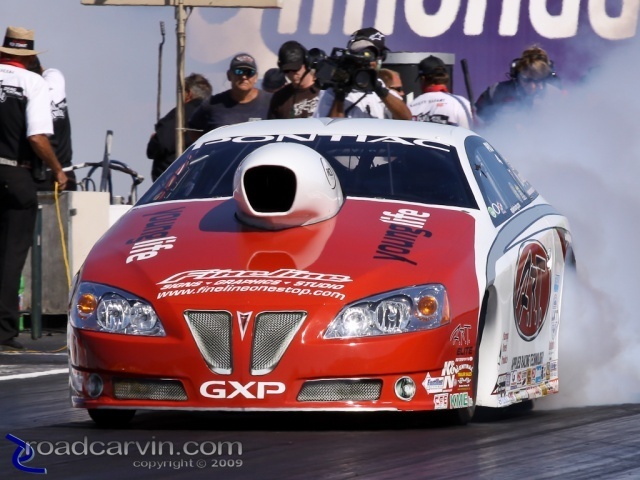 Mike Edwards Smokin' the tires of the A.R.T./Young Life Pontiac GXP. Ron Krisher on the way to the E.T. track record. 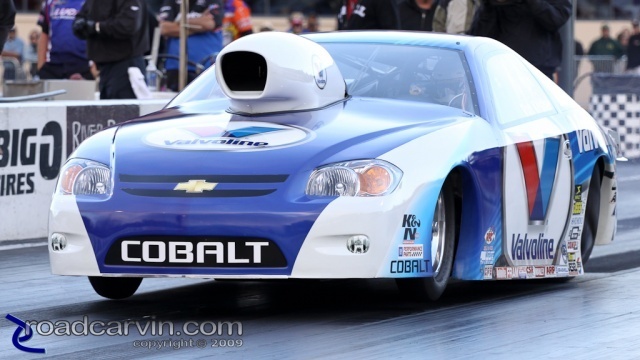 Johnny Gray driving the Nitrofish Stratus. Nose of the 2008 Buell 1125R. The wide fairing should provide good wind protection.